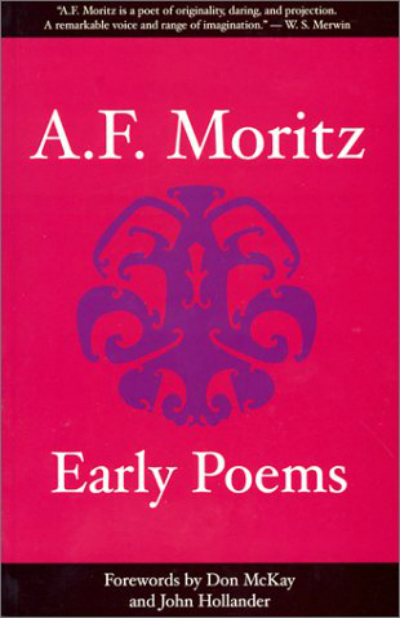 Early Poems reprints Moritz’s first four books of poetry, Here (1975), Black Orchid (1981), Between the Root and the Flower (1982) and The Visitation (1983). In addition, it includes his first collection, New Poems, a long chapbook published in 1974. The poems in this collection were written from 1965 to 1977. These works brought him the Ingram Merril Fellowship in poetry and inclusion in such anthologies as August Kleinzahler’s Seven Canadian Poets and Dennis Lee’s New Canadian Poets 1970 – 1985.